Island communities are often faced with the problems relative to inadequate wastewater treatment facilities. Frequently this is due to inappropriate design solutions that have not satisfactorily taken into account the limited resources available at these remote locations. EPCO Australia in conjunction with Simmonds and Bristow recently took up the challenge to design a treatment facility for the Darnley (Erub) Island community. The design needed to accommodate the islands limited resources and also provide a high quality reusable water resource. Another element of the brief was to design a system that could provide consistent results for the long term. This latter factor is often not given due consideration. Improved local environment from health perspective. The plant provides greater autonomy for the community to manage their wastewater and reduce pollution of surrounding waters from which they derive food and in which they engage in leisure activities. The supply of non-potable water can be used to irrigate community recreational facilities and dust suppression of the unsealed roads. The location and layout of the system is such that it can be used as an educational project for students. The facility opens the opportunity for potential economic benefits from tourism. The specialised water reclamation plant developed for Darnely (Erub) Island was the first of its kind for the Torres Strait Islands. 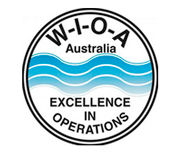 The system design resolved the wastewater treatment issues and provided reclaimed non-potable water for use by the Torres Strait Island community of Erub. Available reclaimed water for irrigation of the community’s recreational fields and control of dust generated from the unsealed roads on the island were welcome additional benefits to the primary goal of solving the island’s wastewater treatment needs. EPCO Australia designed and built the plant’s equipment and chemical engineers Simmonds and Bristow designed the process and oversaw the operator training and initial operation of the plant. In an environment where severe water restrictions are an everyday fact of life, the treatment plant allows the community to relieve the pressure from the drinking water supply to create an environment that promotes a better quality of life. The main benefit of the project is that it provides greater autonomy to the community to manage their wastewater. The plant is successfully operated and maintained by the Island Coordinating Council and Erub Community Sewerage Officers, who achieved their Certificate II in Water Industry. Global recognition of ocean waters and their importance is now demanding better design solutions. By combining the knowledge of the two companies the desired results have been successfully achieved. The process and equipment combinations developed for this project have the potential to be applied throughout extensive areas of the South Pacific and South East Asia in developing countries and island communities.